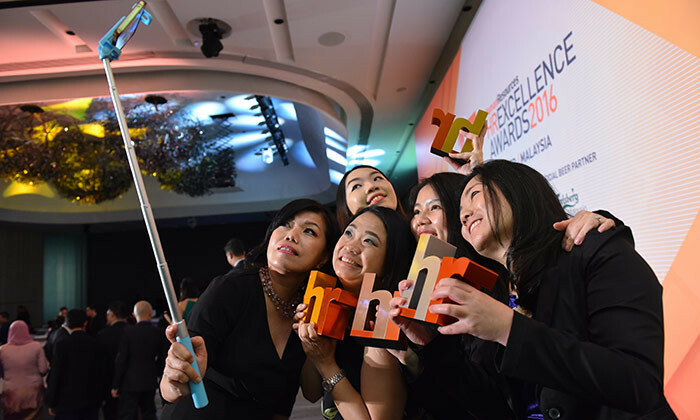 Human Resources, Asia’s only regional media & events brand, has announced the 146 finalists for this year’s HR Excellence Awards 2017, the only regional awards show recognising & celebrating excellence in human capital strategy & execution. The wait for the finalists in the annual search for Asia’s brightest HR stars and the most outstanding achievements in HR is over. The prestigious awards ceremonies will be held in Kuala Lumpur on 4 October, in Hong Kong on 19 October, and in Singapore on 12 October. All awards were reviewed and assessed by respected HR leaders who made up the HR Excellence Awards jury, making the awards the only HR awards in Asia based on a peer review system. Past HR Excellence Awards winners are the who’s who of some of the most respected HR teams in Asia – American Express, ANZ, Astro, British American Tobacco, Country Heights Holdings, DBS Bank, Galaxy Entertainment, Hong Kong Broadband Network, Human Resource Development Fund, IHS Global, Inland Revenue Board – Malaysia, IPG Mediabrands, Leaderonomics, Lumileds, Madison Communications, Manulife, Maybank, Media Prima, Mindvalley, Mitsubishi, National Environment Agency, New World Development, Schneider Electric, Sime Darby Holdings, Singtel, UMV Corporation, Unilever, Venture Corporation and many more have all proudly accepted HR Excellence Awards trophies over the year.